Search your home and not even tell you. Collect information about what books you read, what you study, your purchases, your medical history, and your personal finances. Label you a "terrorist" if you belong to an activist group. Monitor your e-mails and watch what Internet sites you visit. Take away your property without a hearing. Wiretap you under a warrant that doesn't even have your name on it. Clearly, the Patriot Act is violating our liberties and needs to go. This is a less known law but it’s still problematic. The NSA was given the authority to launch the wiretapping program in 2001. The FISA Amendments Act of 2008 ratified and expanded the wiretapping program to grant the government even more power to spy on citizens without a warrant. This means that the government could be listening in your phone calls and you would have no idea. It’s time to get rid of this unconstitutional law. A big problem is that there is a lack of accountability in the intelligence community. The Surveillance State Repeal Act would help to change that by mandating that the Government Accountability Office (GAO) regularly monitor domestic surveillance programs for compliance with the law and issue an annual report. Domestic spying doesn’t just violate our privacy. It also hurts the economy. Many U.S. technology companies are finding it harder to compete on a global scale after the NSA revelations. Under law, companies are forbidden from informing their customers if the government is spying on them. Former Federal Trade Commission employee Ed Felten writes: “This is going to put U.S. companies at a competitive disadvantage, because people will believe that U.S. companies lack the ability to protect their customers—and people will suspect that U.S. companies may feel compelled to lie to their customers about security.” The Surveillance State Repeal Act would help to boost global trust in U.S. companies. 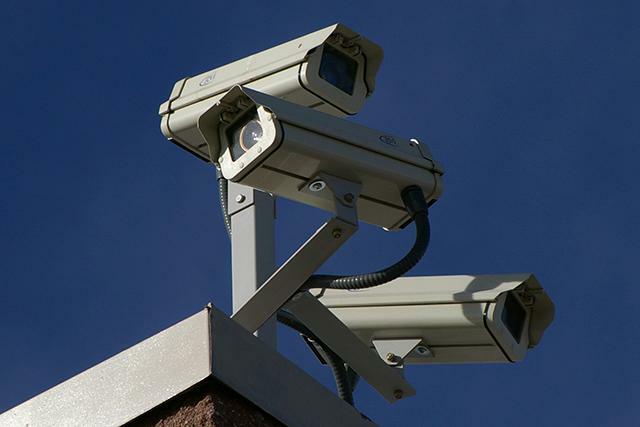 The Surveillance State Repeal Act would protect privacy while still keeping us safe. It would retain the provisions that are actually useful in catching terrorists. It would make it so officials are required to get a warrant against a targeted individual regardless of the type of communication methods or devices being used and protect intelligence collection practices involving foreign targets for the purpose of investigating weapons of mass destruction. The bill has been carefully thought out to ensure both privacy and security. Where do I sign the petition? Of all tyrannies, a tyranny exercised for the good of its victims may be the most oppressive. -C.S. Lewis News breaks this morning that the NSA has the ability to monitor 75% of the nation's internet traffic at once. They can watch what 75% of Americans are doing at any one time online. Think on that for a moment. Fourth Amendment arguments against the NSA surveillance programs are plentiful these days. The general perception by the public, and numerous government officials, is that warrantless surveillance and data mining is an unconstitutional search and seizure under the Fourth Amendment. However, the existence of secret FISA courts could prove to be an impediment to Fourth Amendment challenges, which is why it’s time to dust off the often neglected and forgotten Third Amendment. The last time legislators updated the Electronic Communication Privacy Act (ECPA) was when Facebook CEO Mark Zuckerberg was a toddler. With new technological innovation and new privacy concerns, Congress must cooperate to bring the laws into the 21st Century. Reforming the ECPA is necessary to guarantee our Constitutional protection against warrantless digital searches and seizures. The answer is the Leahy Lee-Amendment. Maximum Liberty or Temporary Security? Justin Amash and the NSA Amendment. Yesterday afternoon a bold, potentially groundbreaking amendment to a defense appropriations bill was narrowly defeated. The amendment sponsored by Representative Justin Amash sought to curtail the highly criticized NSA surveillance program. Tonight the House voted on Justin Amash's amendment to the Defense Appropriations bill. The amendment would simply have required that the NSA's surveillance and collection of digital metadata only be conducted upon people who are directly under investigation. You remember the NSA, right? Big, shadowy agency recording everything you say, write or do online or on your phone? It was in all the papers about four and a half scandals ago. The House is expected to vote today on the Fourth Amendment. The outcome is in doubt. How far we've drifted from the letter of the Constitution and the spirit of liberty! Many outside Oregon have written off the state as a perennial loss for conservatives, owing to its deep blue liberal reputation. This reputation is brilliantly depicted in the IFC show Portlandia, which many Oregon natives view more as a documentary than a comedy. But the politics of Oregon are a much more complex stew of several influences, including a deep libertarian streak and strong conservative values - especially outside the Portland metro area.